It doesn’t get much better than George Town, Malaysia. You don’t even need to take our word for it. It’s been consistently ranked as one of the 10 best cities in Asia by Asiaweek, and according to Conditions Abroad Limited, which has ranked cities suitable for international employment worldwide based upon weather, air quality, infrastructure, health services, housing, security and politics, George Town has been ranked as high as 10th. So it’s no surprise that the city is one of the top locations where Europeans and Asians prefer to work and live. Furthermore, the city was formally listed as a UNESCO World Heritage Site due to its unique architectural townscape which can’t be compared to anywhere else in Southeast Asia. Already packing your bags? 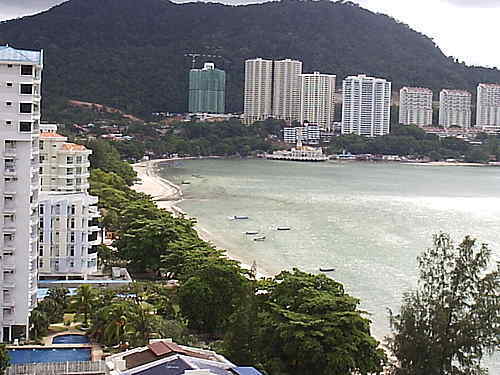 The city is also the capital of the Malaysian state of Penang, an island state off the country’s Northwestern Coast, and not terribly far from a border with Thailand. As for local demographics, the population is mostly of Chinese origin. Though of course, it houses a thriving international community, and it’s also not terribly far from Malaysia’s most charismatic big city, Kuala Lumpur. Check out Expat Blog’s page for expats living in Malaysia if you’re tempted to connect with some people who have already quenched their wanderlust for this magnificant location. I was there twenty years ago, and it was awful. I hope they have improved things. The biggest problems were the locals who hated westerners, and the projectile diarrhea and vomiting from the food. KL was no better. Lots of street crime. Driving across the border into Singapore was such a relief. Elwood, how long ago were you there? I was there in October/November of 2005, and KL was great, no worries about safety. People were very friendly and hospitable, seemed to love foreigners. Sorry, must have skipped the first part. Yeah, things have probably improved a lot since then.